Need a safari hat that is truly made to travel? Then this is the perfect fit for you. This cotton twill and mesh hat is collapsible, making it as easy to pack as it is to wear. It packs down small, but when you need to wear it again it will return to its regular shape. It is made of soft and absorbent cotton twill for comfort with a mesh overlay for added tear-resistance. There is a full circle brim all around the hat to protect you from the sun. The cotton will help wick moisture away and will dry in no time, making it comfortable for all-day wear, even in hot weather. It comes with an adjustable chin strap to help keep it in place, even in windy conditions. It is available in 3 colours and 4 sizes. The available sizes are S/M/L/XL. 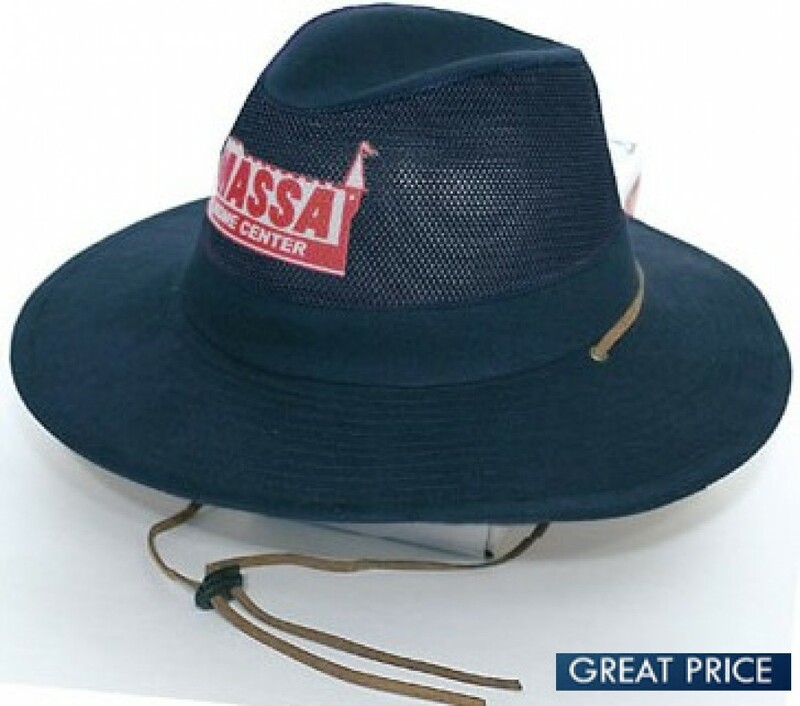 These promotional hats are great for people who work or play in the great outdoors, so why not have us brand your logo onto them? They make great uniform elements for staff who work out of doors, or great giveaways or promotional sales items for tour guides and other outdoors businesses. These hats are designed for people going places. Let them take your brand with them, wherever they go. These hats come with 8000 stitch count embroidery as standard. Ask us about other branding options. All artwork in eps, pdf or high-resolution jpeg. Listed prices do not include GST or freight costs.